New York (CNN) Anthony Bourdain, the chef and gifted storyteller who took TV viewers around the world to explore culture, cuisine and the human condition for nearly two decades, has died. He was 61. Anthony Bourdain, the chef, writer, and Emmy-winning television personality, died Friday morning of an apparent suicide at the age of 61. 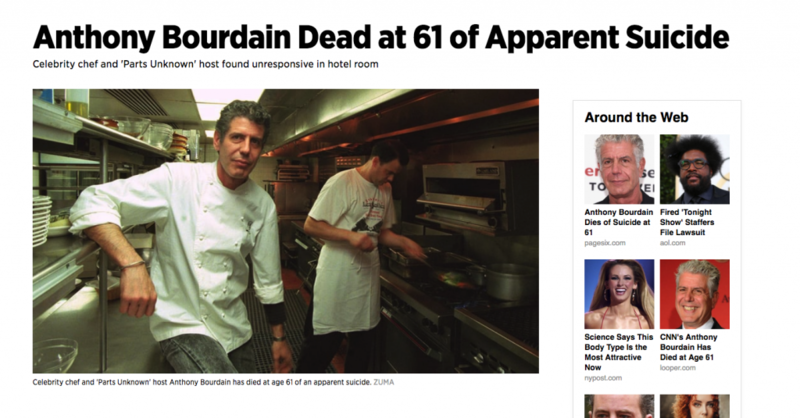 His death was confirmed to CNN, which reported that the Parts Unknown host was in Strasbourg, France, filming an episode of the series when chef Eric Ripert, a longtime friend of Bourdain’s, found him unresponsive in his hotel room. "It is with extraordinary sadness we can confirm the death of our friend and colleague, Anthony Bourdain," CNN said in statement Friday morning. “His love of great adventure, new friends, fine food and drink and the remarkable stories of the world made him a unique storyteller. His talents never ceased to amaze us and we will miss him very much. Our thoughts and prayers are with his daughter and family at this incredibly difficult time." Bourdain worked in the dregs of the New York City restaurant scene for years before eventually becoming the executive chef at the French bistro Brasserie Les Halles. His experience in the industry led to the 2000 book Kitchen Confidential, in which he offered an unapologetic, 360-degree view of the American dining experience. Bourdain described what takes place behind the scenes in brutal, often hilarious detail, changing the way restaurant-goers considered everything from their appreciation of oysters to the best day of the week to order meat. The book became a bestseller and launched what turned into a prolific career as a television host. After a two-year stint hosting A Cook's Tour on the Food Network, Bourdain began hosting No Reservations on the Travel Channel in 2005. The show saw Bourdain travel to both major metropolitan areas and far-flung locales around the globe, where he sampled local cuisine and provided insight into the relationship between food and culture. The show ran for nine seasons and won two Emmys. After leaving the Travel Channel in 2012, Bourdain began hosting CNN's Parts Unknown in 2013. A year later, he won a Peabody Award. The show, which was in the middle of its 11th season at the time of Bourdain's death, featured the chef traveling the world while offering his perspective on the food, culture and politics. In a 2017 episode, he shared a $6 meal of noodles with President Obama in Hanoi, Vietnam. Bourdain was a titan of popular food culture, and even as his celebrity grew, he retained the rebellious, disaffected persona first projected in Kitchen Confidential. In addition to the book that launched his career, Bourdain authored several cookbooks, essay collections and works of fiction to complement his work onscreen. He was a ubiquitous presence on various food programs, always serving as the definitive authority on whatever issue – or dish – was brought to the table. 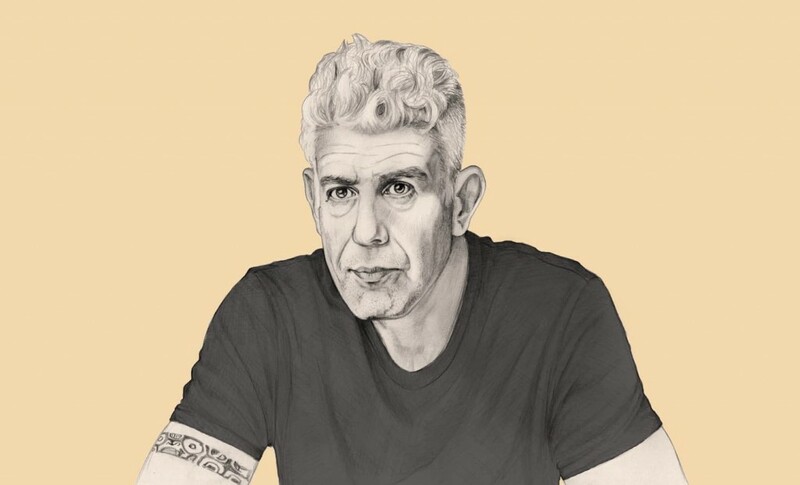 As America's interest in food culture grew, and along with it a wave of celebrity chefs, none were as thoroughly respected both inside and outside of the industry as Bourdain. did not feel I was the sort of person they could confide in."